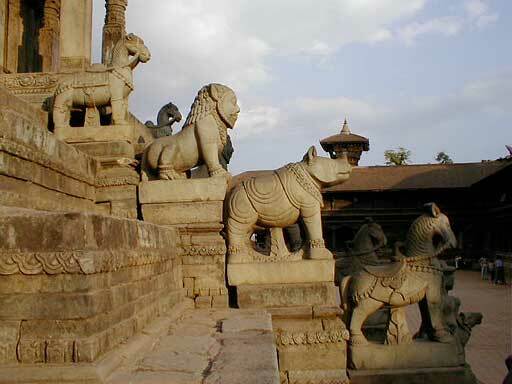 On Sunday we rode the dilapidated Chinese trolley 13 kilometers outside of Kathmandu to the ancient city of Bhaktapur, capital of the whole Kathmandu Valley from the 14th to the 16th century. 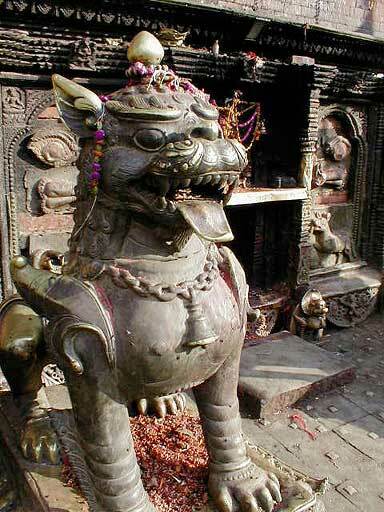 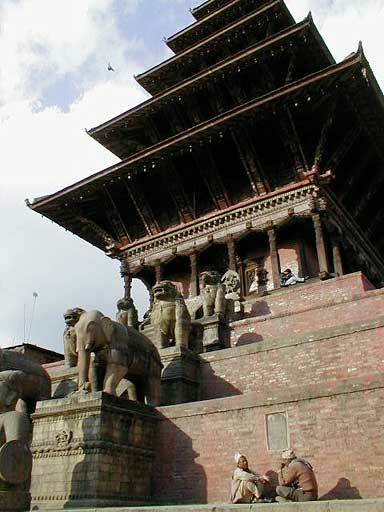 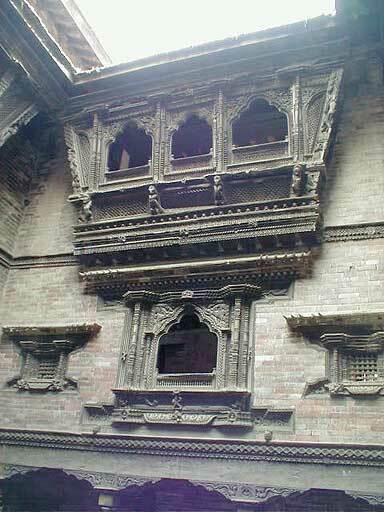 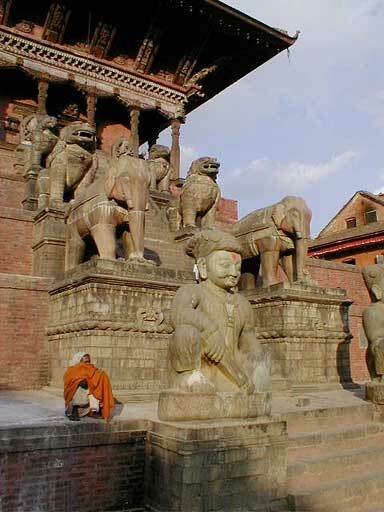 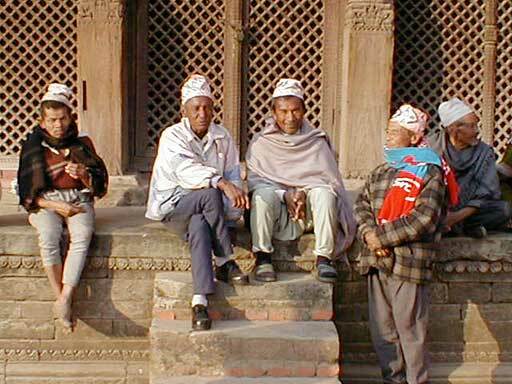 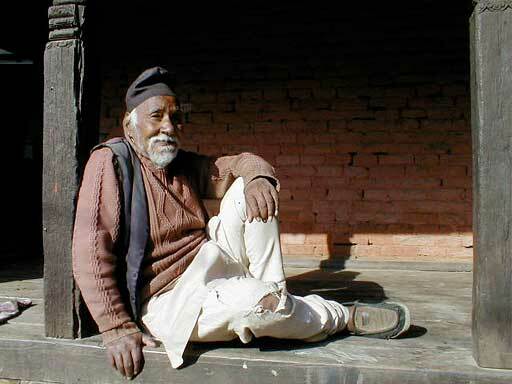 Bhaktapur means "city of devotees." 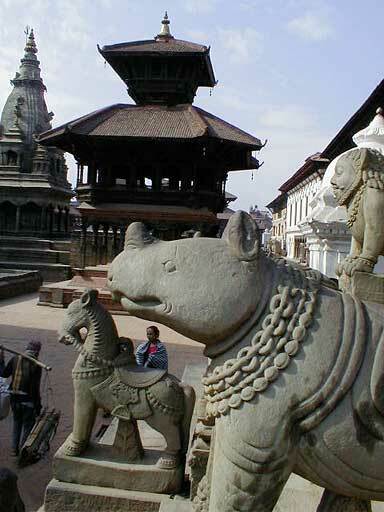 Medieval in feel, it is chocked full of temples, elaborate carved wooden window screens, narrow streets crowded by burnished buildings, and souvenir shops bulging with remarkable handicrafts. 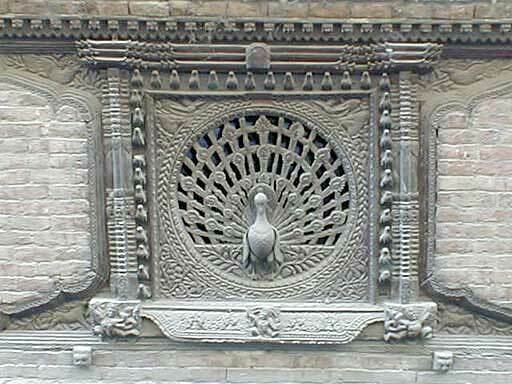 The city is known for its famous peacock window, perhaps the most famous window of all (limited competition for the title most famous window), and for potters' square where men rev-up giant potter's wheels with a stick and rows of pots are set out to dry in the sun. 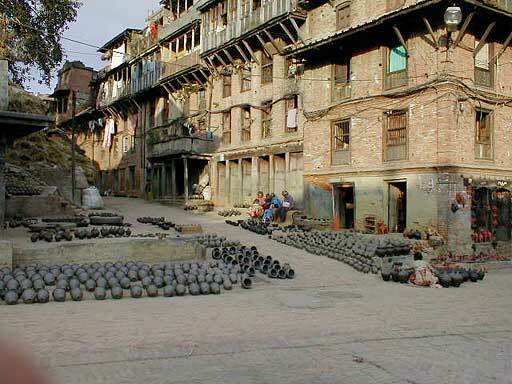 And to top it off, cars are virtually banned from the old section of the city. 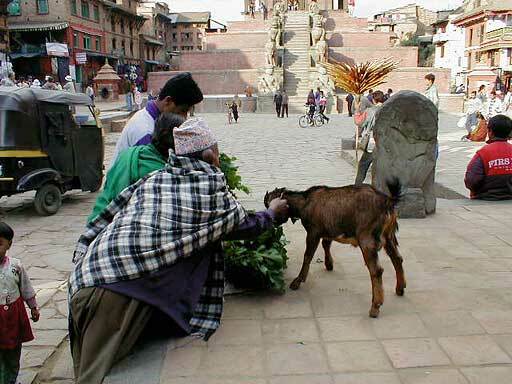 Without comment, we would like to share a few urban images with you, a kind of Christmas card, before heading off to meet Kelsey in Bangkok for the holidays.